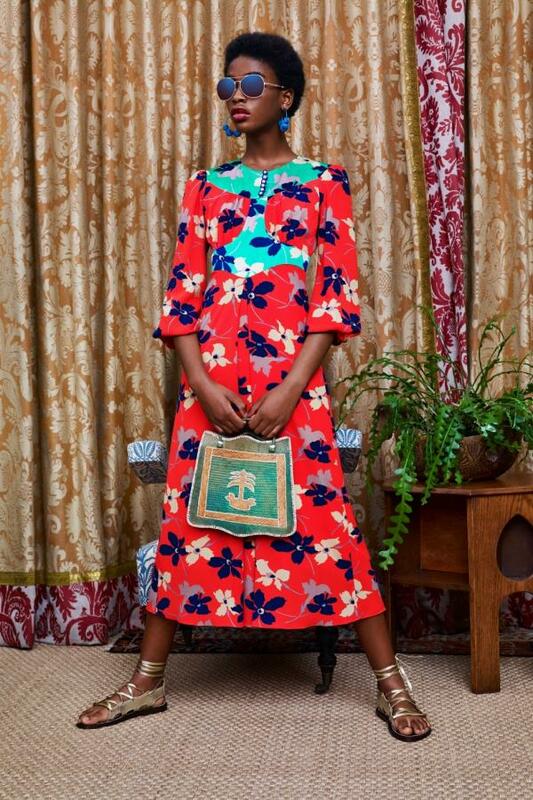 Inspired by the 1930s is the ready-to-wear Spring 2019 collection by Nigerian designer Duro Olowu – mixed with a lot of bold flower prints and stripes. I love how the stripes and prints are being combined in some of the looks. The look with the short jacket over the dress almost looks vintage. I could totally wear this already now in Fall, I would just add some heavier jackets and boots to make it work. Also: I love! the short cropped Afro of the model. There has not been a collection yet by this designer, that I didn‘t like. How do you like this collection by Olowu?